New Kia cars for sale are easy to find thanks to Ewald's Kia dealers in Wisconsin and their huge inventory of new and used Kia vehicles for sale here in Milwaukee. With Ewald's Kia dealers Wisconsin has a huge range of incredible new and used Kia vehicles for sale, including new Kia cars for sale and more. With Ewald's Kia dealers in Wisconsin and their wide arrangement of awesome models of Kia cars for sale, it is much easier to find the new Kia vehicle for sale that is right for you with ease, and thanks to our great range of prices, lease offers, and Kia lease deals it is easier than ever to fit the new Kia vehicle you want into your budget easily. So for incredible new Kia cars for sale, stop on in to Ewald's Kia dealers in Wisconsin today and check out a vehicle that interests you, like this new Kia Optima for lease, the 2016 Kia Optima LX. This new 2016 Kia Optima LX for sale is an incredible vehicle that offers you plenty of speed, power, and driving capability for your everyday driving needs and more. This new 2016 Kia Optima LX for sale is equipped with an impressive 2.4L DOHC I4 GDI Engine that provides an awesome boost in speed of up to 185 horse power, and gets an incredible fuel economy of around 24 City mpg and 35 Highway mpg so that you can do a lot more driving before needing to fill your car back up with gas. 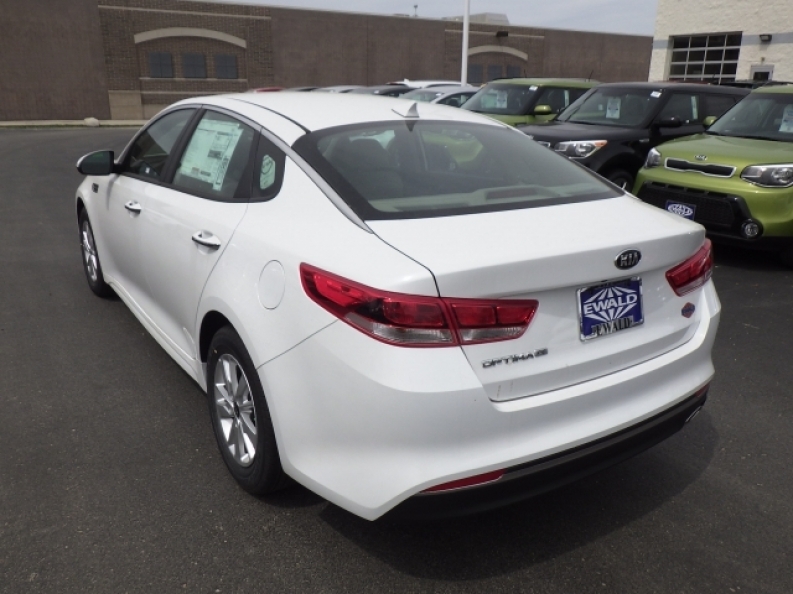 You are certain to enjoy this new 2016 Kia Optima LX for sale even more enjoyable when you try out features like the Hard Disk Drive Media Storage, and the Anti-Lock Brakes, as well as the Satellite Radio and much more. 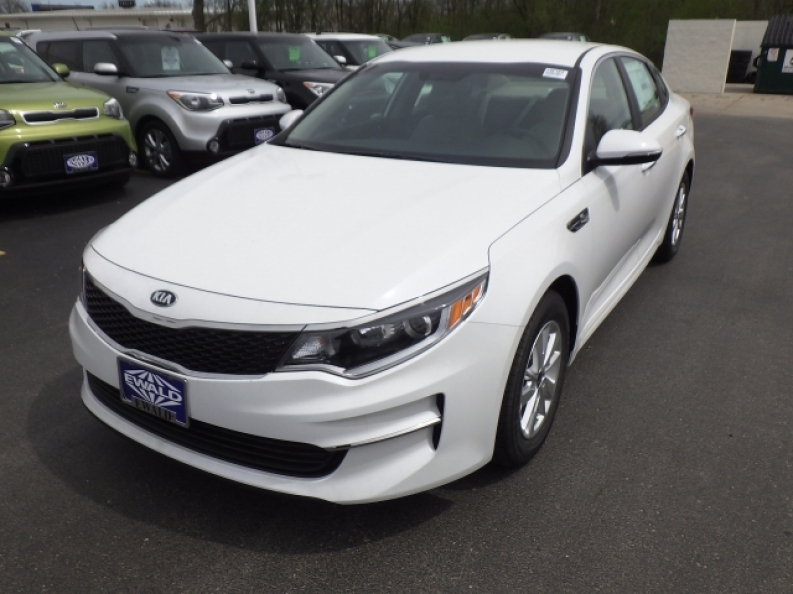 If you want to check out what else is in this impressive new 2016 Kia Optima LX for sale has to offer you, then stop on in to Ewald Kia of Oconomowoc Wisconsin today, located here at 36883 E Wisconsin Ave Oconomowoc, WI 53066.